Why it's important, now more than ever, to have a buyers' agent when building a new home! The builder's contract is written in favor of the builder. You need to have someone who has reviewed enough contracts to make sure you are thoroughly protected. Without knowledge of builder allowances, will you know that the appliance, lighting, carpet and flooring, and countertop allowances in the contract are going to cover what you expect to receive in your finished home or will you be surprised by overages at the end? Do you have time to do on-site inspections on a regular basis to make sure that construction is on schedule and done according to plan? Are you willing to take responsibility to get decisions made on a timely basis to keep construction on schedule? 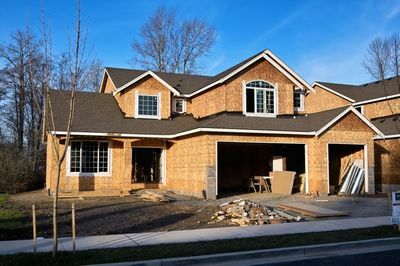 If you use the builder's agent, they can't be your strongest advocate throughout the building process because they start the transaction with a conflict of interest. If a conflict arises with the builder, the builder's agent can't fully be on your side because they also represent the builder. Gloria Ruesch does not represent builders so you are guaranteed that I represent you, the buyer, exclusively in every transaction, with your interests always coming first, so you can rest assured that your dream of building your own home will never become a nightmare.